Jackdaw is Can Factory’s first Swift product available via the Apple app store. 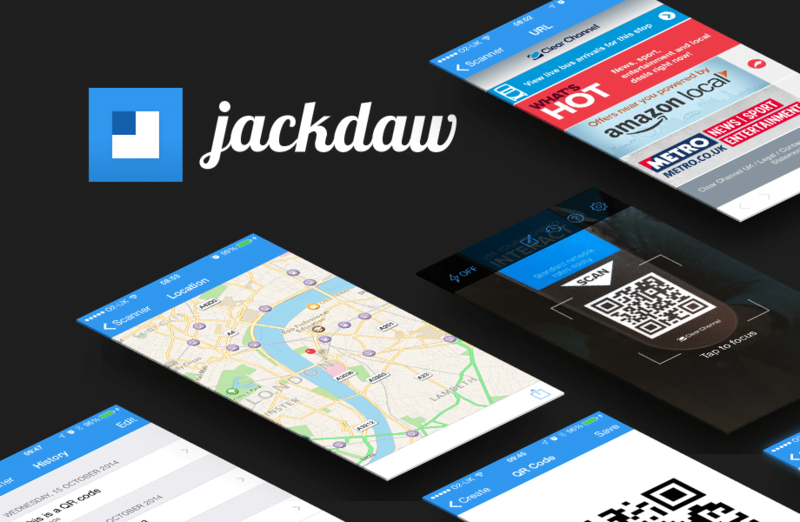 As 2D barcodes are becoming increasingly familiar in everyday life, from products to billboard posters, we hope Jackdaw will provide users with a focused way of translating that information and acting upon it. Line up your barcode, tap to focus and use the optional light for low light conditions, no fuss it’s that easy. If your barcode is one of the recognised formats you’ll be shown the decoded result and a variety of context driven options, depending on the content. If you scanned a URL for example, you’ll be asked if you want to view it in the built-in browser, or copy it for use elsewhere. Want to look again at something you scanned previously, just check your history. Or maybe you want to create your own QR code and share it with others. For more information visit the Jackdaw product site.